Rolling Stones guitarist Keith Richards confirms the band has plans to regroup to record their first new album in a decade. “I was at a meeting with the lads three or four days ago where everybody said, ‘Yes! We must go in the studio!’”,” Richards tells The Quietus. “Where or when I can’t yet say but in the near future. At last I’ve got the boys wanting to get into the studio. 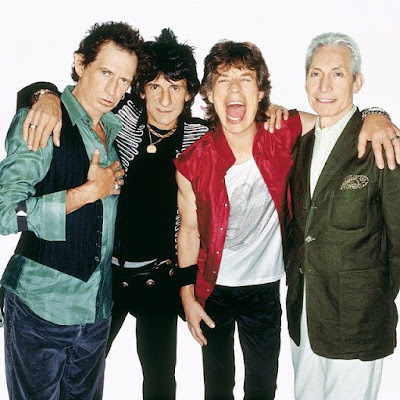 In a follow-up interview with Rolling Stone, Richards was asked about the possible timing of the potential Stones studio sessions. "I would say off the top of my head after the South American tour in February," says the guitarist. "But you never know. We might try to get into the studio before Christmas. I think that’s sort of doubtful, with Christmas being Christmas, all that buildup. But at the same time, it’s definitely in the works." The follow-up to 2005’s “A Bigger Bang” release would represent the group’s second album in almost two decades as they have focused more attention to touring in recent years. Richards is making the rounds to promote his solo album, “Crosseyed Heart”, which hits stores on September 18. The record sees Richards reteam with drummer Steve Jordan and guitarist Waddy Wachtel alongside Stones backup singer Bernard Fowler, keyboardist Ivan Neville, singer Sarah Dash and a host of other guests. Richards will continue his promotional run as a featured guest on The Tonight Show starring Jimmy Fallon on Friday, September 18.